If you received a voucher from a third party vendor such as Groupon, Living Social, Rush49 and others please follow the directions below. Once on our website www.racewithrusty.com please click BOOK/BOOK USA or CANADA TRACKS, this will bring up our location list. 2. At the very top of the location list you will see an ENTER CODE button. Please click on that button and enter your Groupon code, it will look similar this GRPRW-1234567-STQ18 or alike. We recommend that you copy and paste your code to reduce possible entry errors. 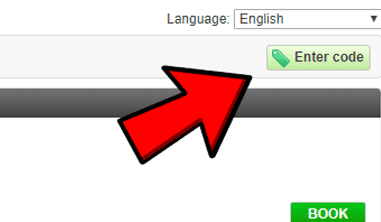 If you are manually entering you must include the dashes – seen in the code. Codes are not case sensitive. After entered click OK. You should see your code onscreen and now you need to select your location. Each code will have an ending characters that tells what event and track size your voucher is good for, for example -SSQ18. SW for Speedways, ST for Short Tracks, BR for Bullring and R for Rides. 3. 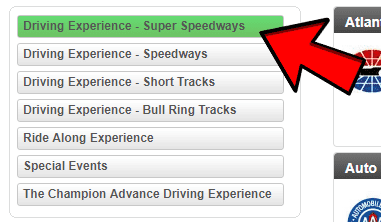 Based on your voucher please select what TRACK SIZE you are scheduling for. 4. After selecting your track size it will place all available tracks in alphabetic order, please select your track by clicking BOOK. 5. You will now be given available Dates and Times, again please click BOOK for your desired date and time. 6. After you have made your selection for date and time you will be asked to select your options. 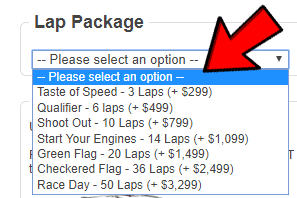 Please select the LAP PACKAGE that corresponds to your voucher from the drop down menu. All options presented such as, Insurance, Additional Laps, Video, Photo etc. can be purchased at a later time including at the event as well. Please note that only one voucher can be applied per order so if you have multiple vouchers you will need to make multiple reservations. Ride-Alongs are for participants age 14 and older 17 in the state of NJ. No insurance is required for Rides. Please note that even when purchasing a voucher there can be additional fees. Groupon, Living Social etc. DOES NOT collect taxes and or fees for these events so if applicable that is collected at the time of reservation along with a small booking fee. 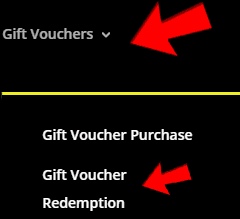 If you purchased a Gift Card/Voucher directly from Rusty Wallace Racing Experience please Click on the GIFT VOUCHERS button and select GIFT VOUCHER REDEMPTION. Rusty Wallace Gift Vouchers will consist of 6 characters and be a combination of letters and number such as HV56T8. After entering please follow the directions as outline above. If you need further assistance please call our offices 401-543-FAST and any agent can assist.